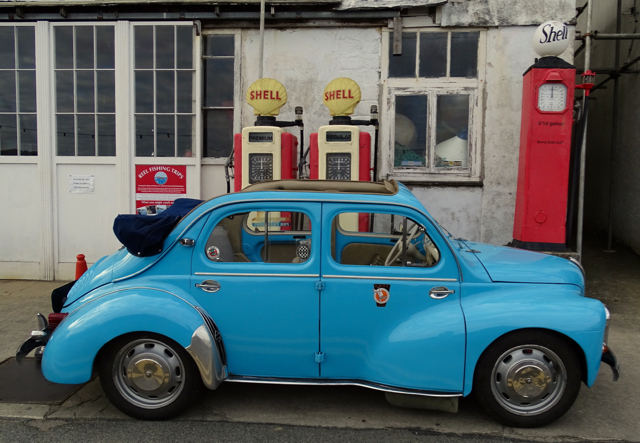 Mario has been having a well deserved rest after the Revival (the Goodwood blog will be here soon promise! 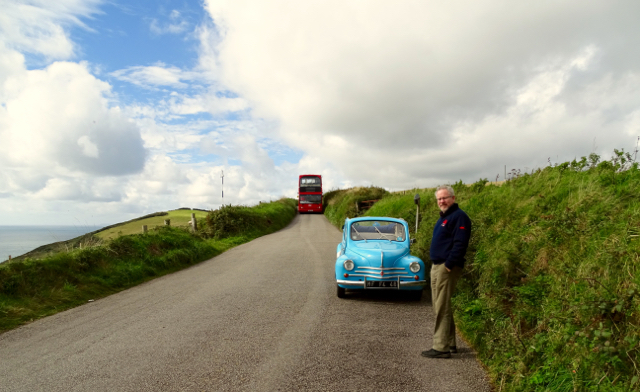 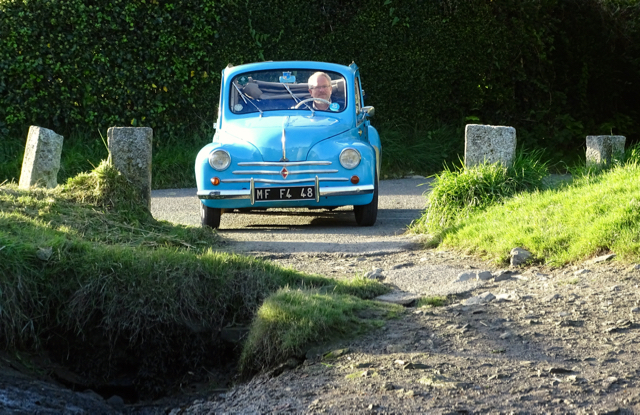 ), the humans needed a break too and so they set off in ‘Regie’ the Renault 4cv for a week in Cornwall. 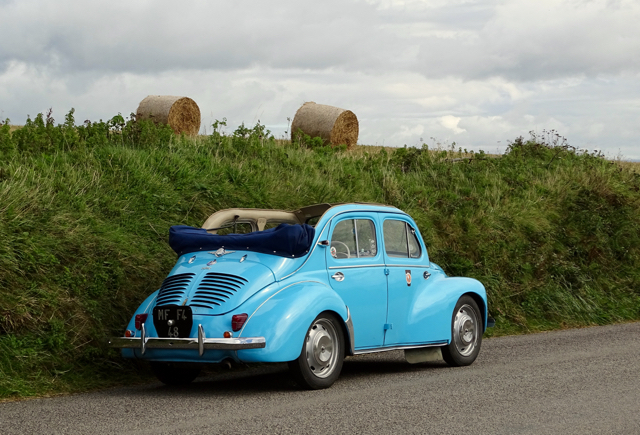 While it would be fun to take Mario away, Regie is far more practical as a holiday car, the Dauphine Gordini engine and 4 speed box means that we can keep up safely with everyday traffic, get from A to B in pretty good time, especially if taking the most direct route, it’s comfortable and of course if the weather is good the roof comes down! 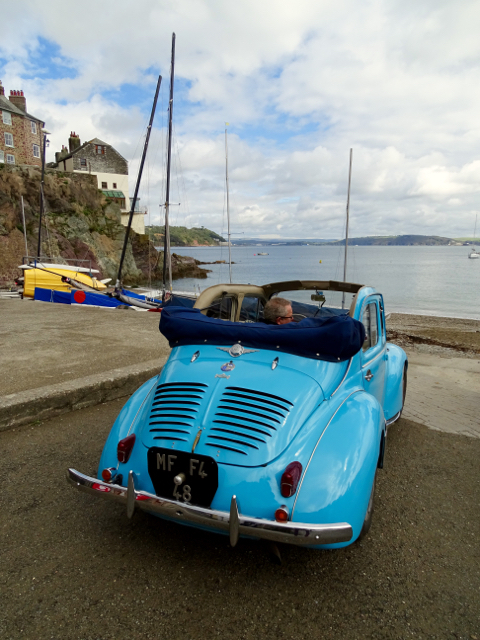 We managed to get from home to Polperro a journey of over 200 miles in pretty good time with a stop-off for a ‘cuppa’ part way with the roof down the whole way. 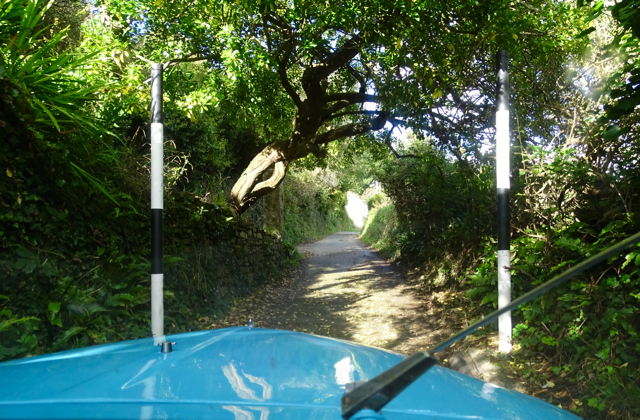 Polperro is a very old fishing village with very tiny lanes and you have to park in the main carpark 1km away and get a quad bike and trailer to take your luggage to our cottage – Jane got a lift on the back which brought a smile to her face. 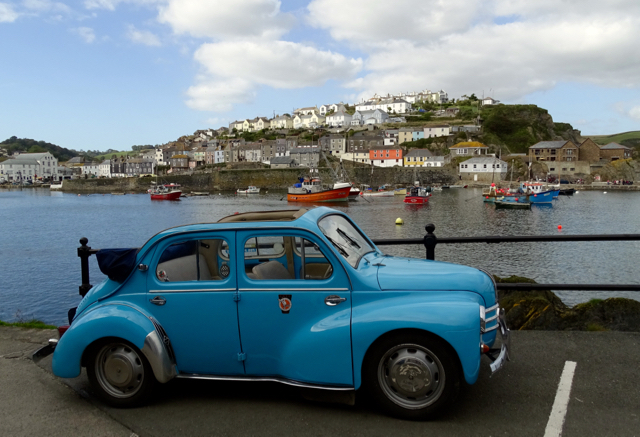 We soon settled in to the lovely Pier Inn Studio which was right on the harbour with a balcony over the water. 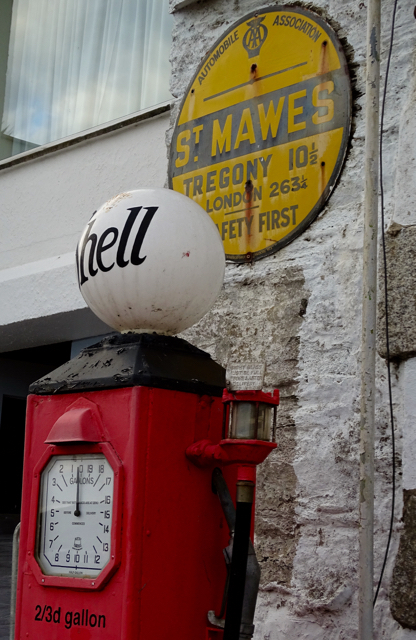 We spent the week driving around, in St Mawes we found this lovely old garage, loved the AA signpost with london at 263 and a quarter miles to London. 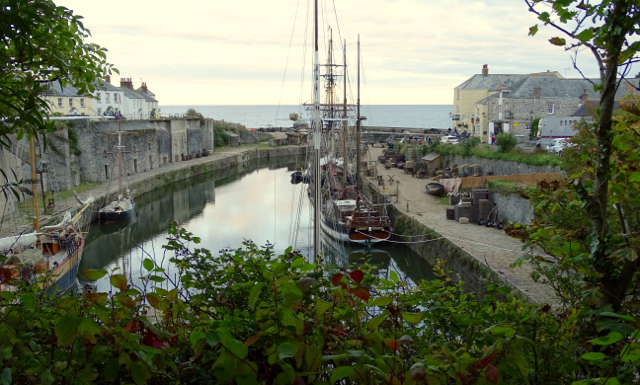 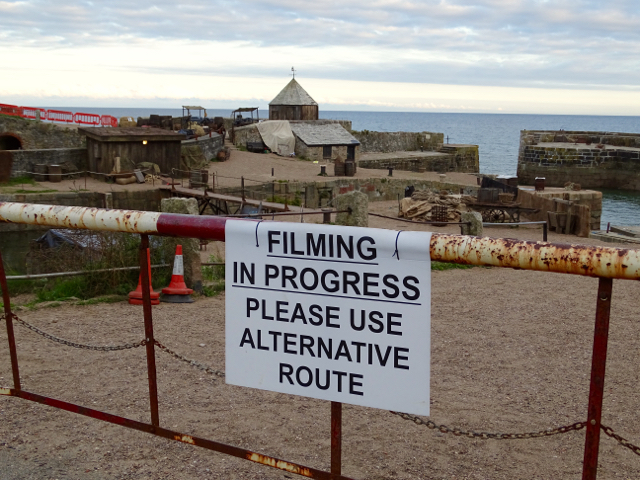 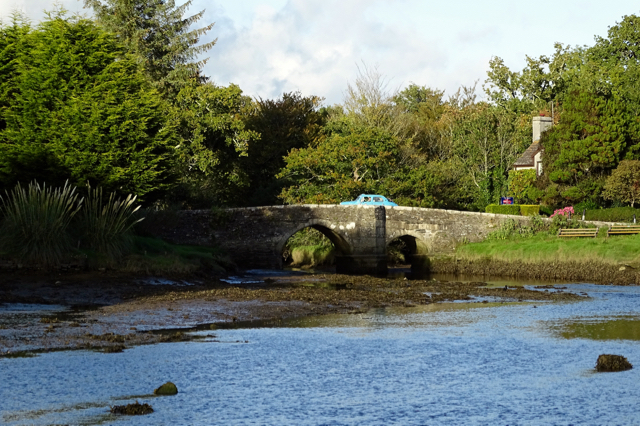 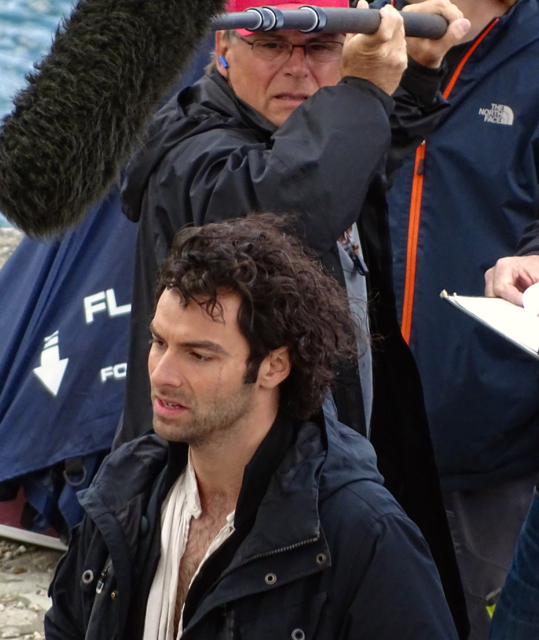 In Charlestown they were filming the second season of Poldark – the lovely old harbour was set dressed and looked period perfect but they didn’t want a 1958 car in shot! 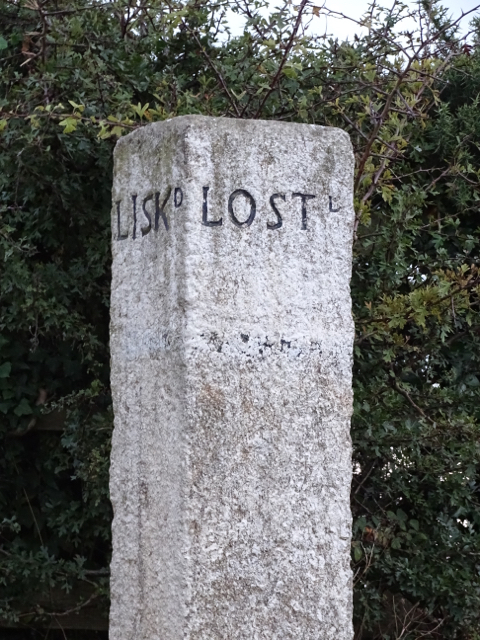 The Cornish lanes are a maze of tiny unmarked roads, we kept seeing these lovely old mile posts… we weren’t lost – honest. 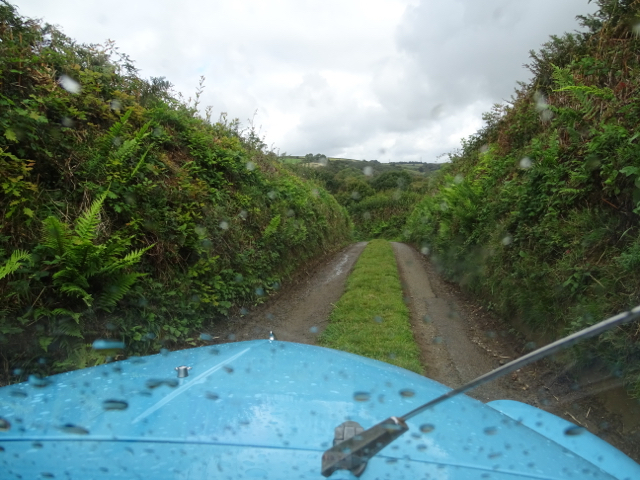 We met a supermarket delivery man just up here, he was persuaded that as we hadn’t seen a passing place for over a mile that he should reverse! 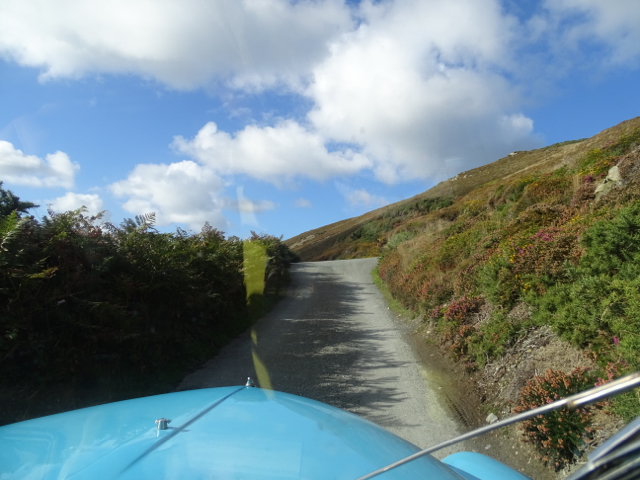 This is on the main bus route… at least you get a good view. 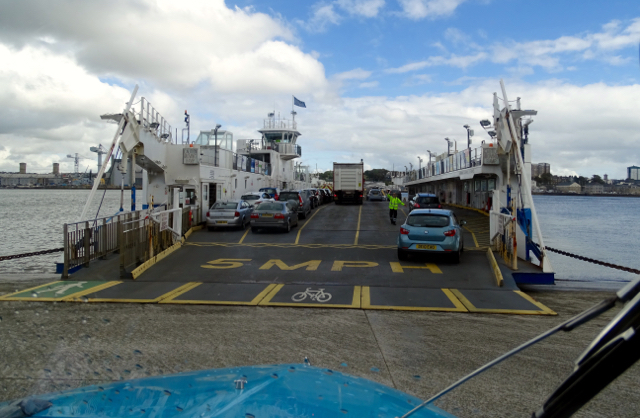 We took several ferries as they can save miles of driving round the inlets, this is the biggest (and cheapest) from Torpoint to Plymouth. 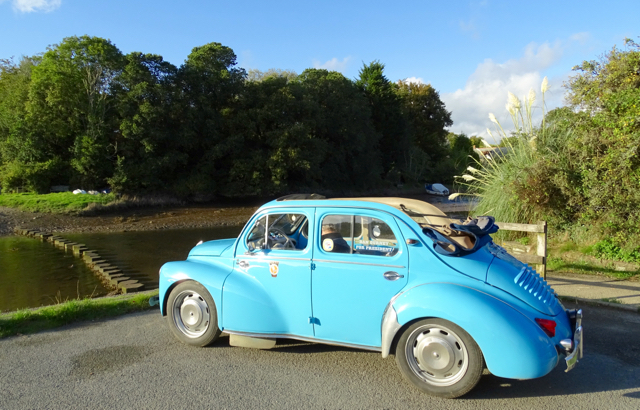 One of the others gave us a free trip as we were in such a nice car. 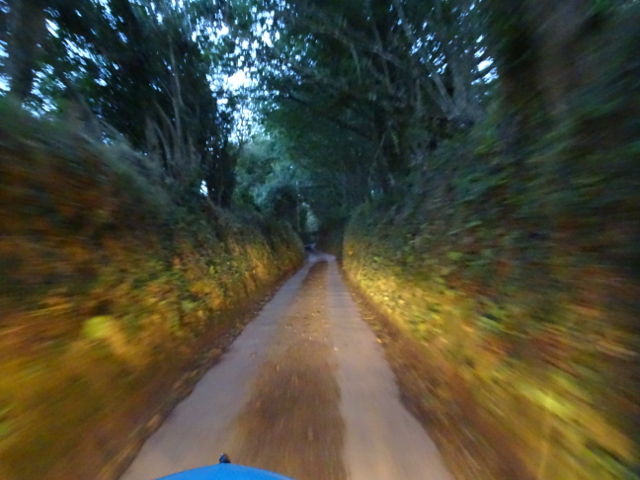 Many of the small lanes have grass and vegetation up the middle. 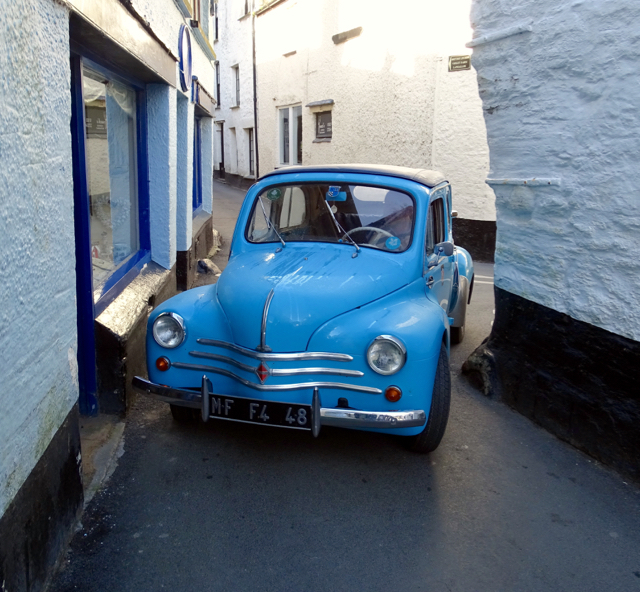 This was one of the smallest with a 6 foot width restrictor at the start. 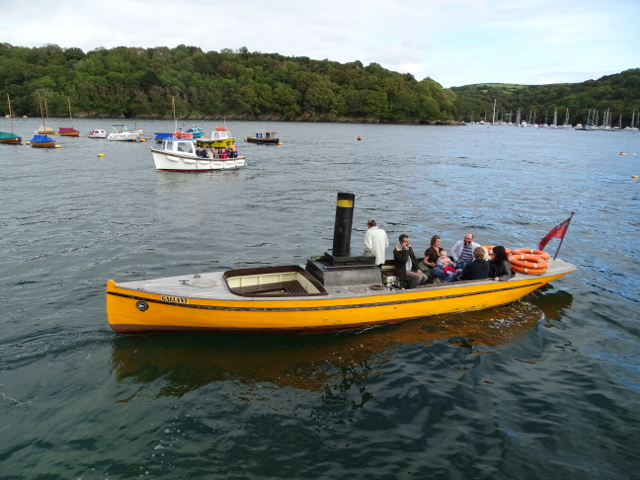 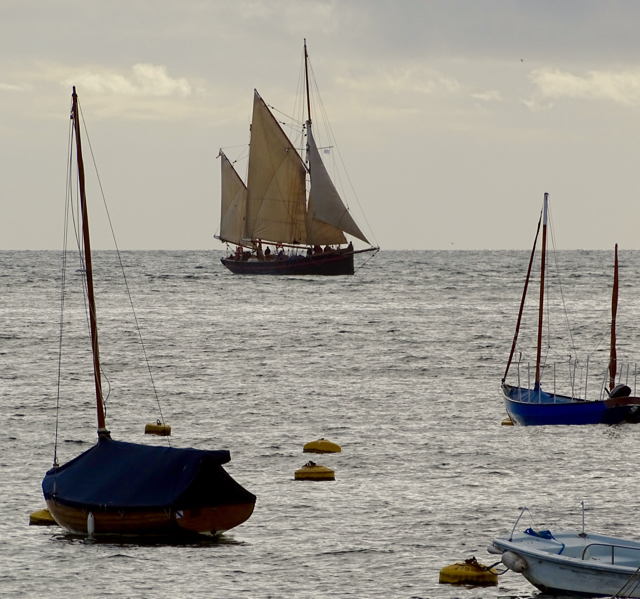 In Fowey we saw a lovely old sailing ship and a little steam boat – it was just setting off on it’s last journey after 40 years of trips up the river. 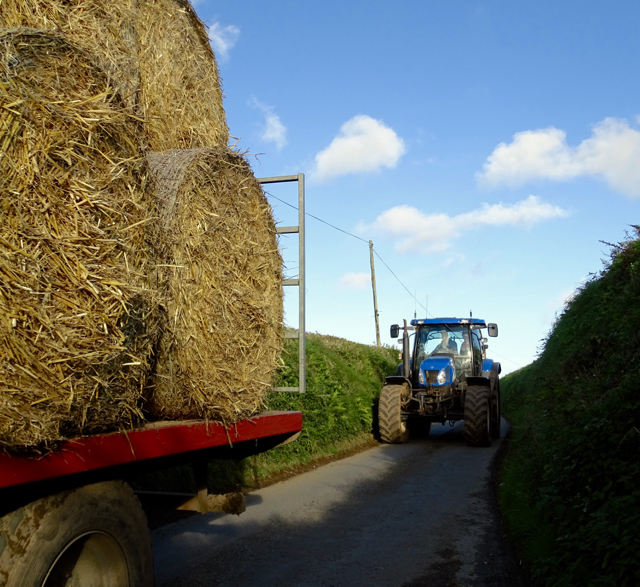 Two huge tractors are not what you want to meet in a Cornish Lane. 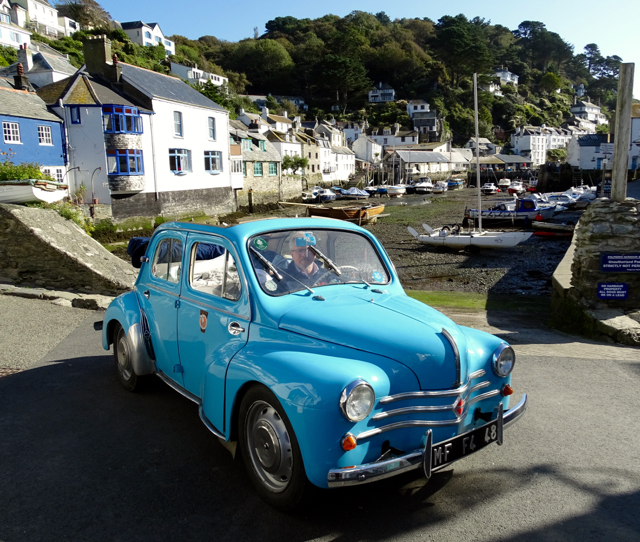 regime loved parking by the sea – here on the harbour wall in Mevigessy – and he caused great interest wherever we went. 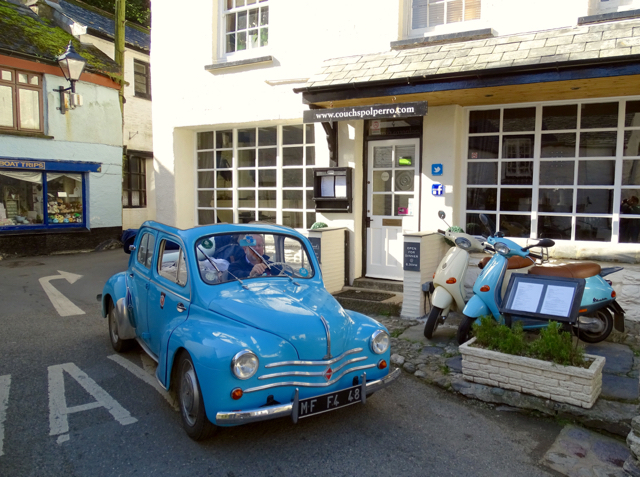 It was unfortunately soon time to leave and James had decided that Regie was small enough to drive down to the cottage to pack up. 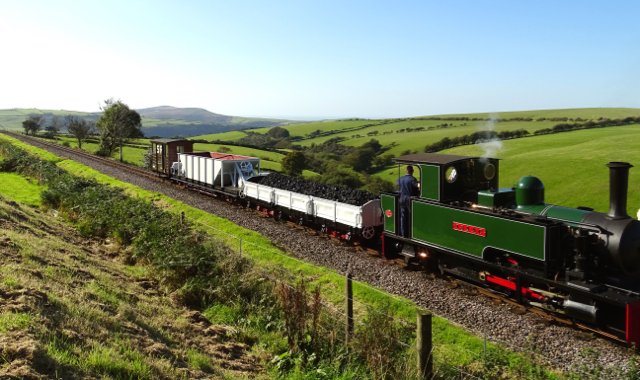 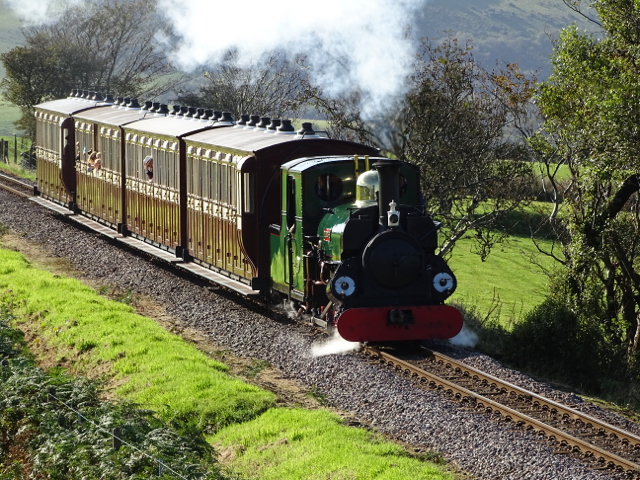 We went home via some friends in North Devon/Somerset and came across a small Steam festival. 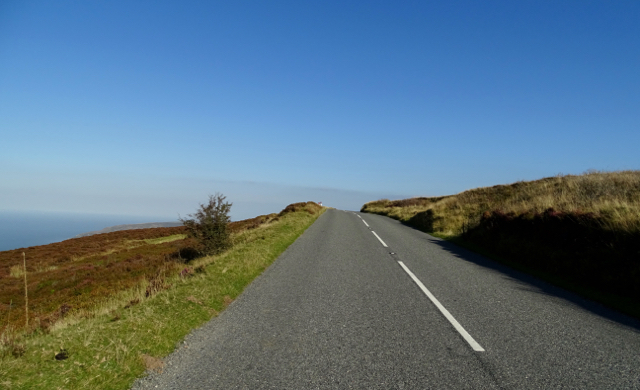 The drive over Exmoor along the North Coast was spectacular and the weather was fantastic, beautiful roads around Porlock where the famous Hillclimb is situated, several roads had inclines of 25% some of the steepest in the country but Regie managed pretty well, we were very glad we weren’t in Mario who doesn’t like hills! 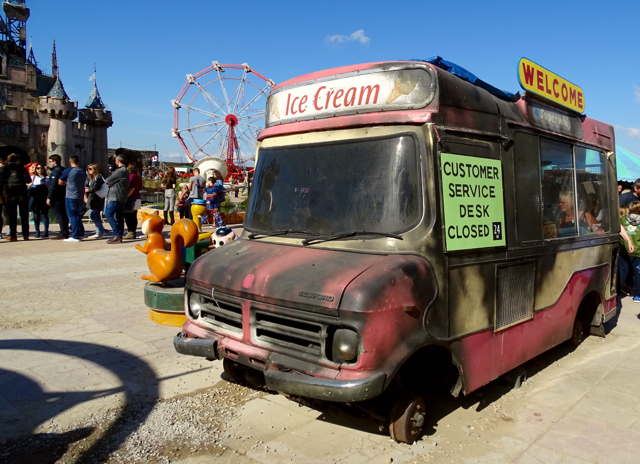 We finished the holiday with a trip to Banksy’s Dismaland at Weston-Super-Mare, a bemusement park. 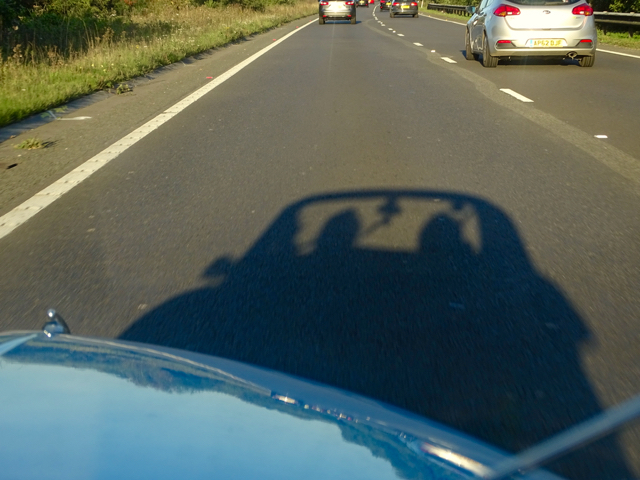 And we had a good trip back with the roof off in the sunshine.